OnePlus has updated its official China page, in which the cover image shows a purple hue on the back of the OnePlus 6T, which makes it the third colour option available on the smartphone, along with Midnight Black and Mirror Black. 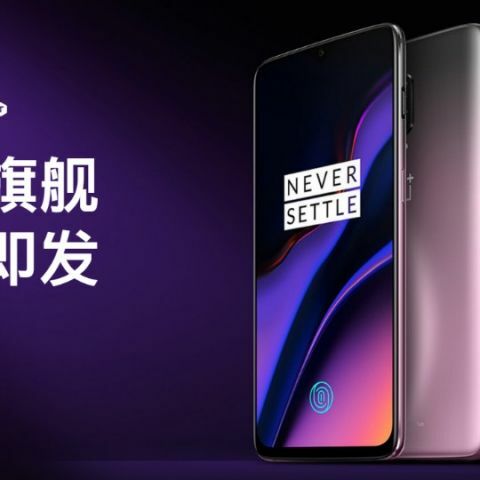 Just a few hours after the official-looking press renders of the OnePlus 6T in a new “Thunder Purple” colour surfaced on the internet, OnePlus updated its official China page to show the OnePlus 6T smartphone in the new colour along with the other previously launched Midnight Black and Mirror Black colours. The background also has a purple hue that dissolves in to black just like it does on the back panel of the smartphone. The device seems to be available only in China currently. 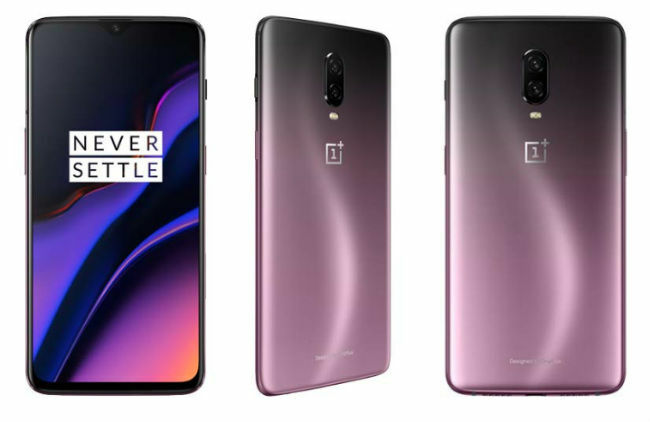 According to the renders published earlier this week, OnePlus 6T “Thunder Purple” colour on the back panel has a gradient hue that goes from violet to lilac to an amaranth shade of pink. Previously, tipster Ishan Agarwal claimed in a tweet that OnePlus would launch the OnePlus 6T in a 'Thunder Purple' colour. As per his tweet, the OnePlus 6T “Thunder Purple” colour was seen on OnePlus Support Website. An Amazon listing also showed the same colour for sale. To recap, the OnePlus 6T builds upon the features and hardware of the OnePlus 6 and adds a bigger 6.41-inch Optic AMOLED display with a waterdrop notch and an in-display fingerprint sensor. OnePlus claims the fingerprint sensor embedded in the screen is the fastest among its peers and can unlock the phone in 0.34 seconds. The device is powered by a Qualcomm Snapdragon 845 and is coupled with up to 8GB of RAM and 256GB of storage. In the camera department, on the back, the smartphone has a 16MP Sony IMX 519 sensor with an f/1.7 aperture and a 1.12-pixel pitch, which is combined with a 20MP Sony IMX376K sensor to measure the depth of field. On the front is another 16MP sensor for selfies. Both sensors have OIS and EIS for stabilisation. The camera now gets a dedicated mode for low-light photography called Nightscape. The OnePlus 6T runs on OxygenOS 9.0.2 based on Android 9.0 Pie. The OnePlus 6T packs a bigger 3,700 mAh battery, which the company claims lasts 23 percent longer than OnePlus 6’s 3300mAh unit.